Valpolicella Ripasso is sometimes easier to find than Valpolicella DOC level wines these day. 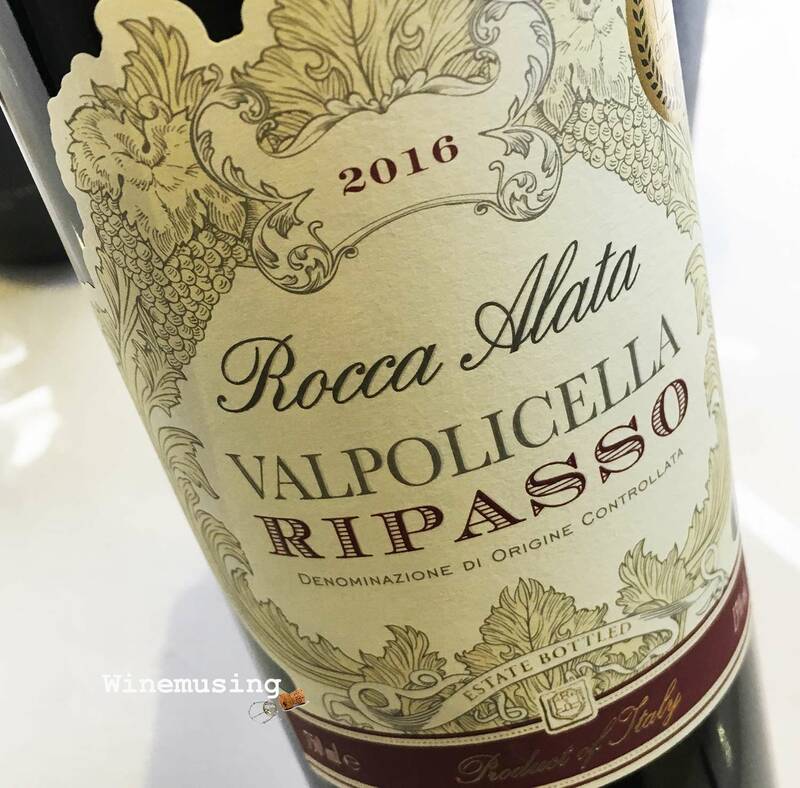 The Rocca Alata is made by Cantina di Soave and while using the traditional trio of Corvina, Rondinella and Molinara, the lees and skins from the Amarone ferment has been added to give the final wine a boost in colour, body and complexity. These wines offer a more robust Valpolicella wine experience without having to resort to stumping up the price for an Amarone. A lively aniseed note gives some freshness to the black cherry fruit and nutmeg oak spice. It is a fuller bodied red that brings the fresh fruit to the fore. It is lingering, fleshy and well judged. A good introduction into the style and you might find yourself reaching for another glass, particularly if you are enjoying a meaty pasta dish.